Telenor Net Balance Check: Hi, friends are you looking for Telenor internet balance checking procedure? Don’t you know how to check data balance in Telenor? Do you want to know the Telenor data usage? From now onwards don’t worry about it. We are providing the solutions for all your questions. Here you can get the procedure for checking the data balance in Telenor network and some useful information about the USSD codes. We know that Telenor was the most used nor-wagon telecommunication network all over the world & it has more than 211milloin subscribers. It was founded on 2009 in India locating headquarters at Gurgaon, Haryana. HOW TO CHECK INTERNET BALANCES IN TELENOR FOR PREPAID AND POSTPAID SUBSCRIBERS? In this article, you can able to know the procedure for Telenor internet balance checking and some useful USSD codes. Generally, USSD means ‘Unstructured Supplementary Service Data’ and it is a protocol that is used to connect the subscriber with the service provider’s computer. 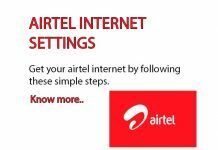 Using these codes you can able to know the balance, you can activate/ deactivate some services, you can able to know the latest offers for prepaid / postpaid networks, latest tariffs of call/SMS/data, and much more. Here you can get the procedure for checking the data balance in Telenor network. Here you can see the procedure for knowing the 2G/ 3G /4G data balances in your Telenor prepaid/ postpaid network. 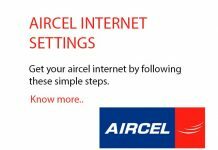 Step 1: Take a mobile phone with Telenor Network. Step 2: Edit the number like *222*2# and dial it. Step 3: wait for few minutes while your request is under process. Step 4: Now you can see a popup message on your mobile screen with remaining data balance. Here you can get another way to know Telenor data usage details. Step 2: Edit the number like *363*4# and dial it. We also provided the information about the other useful USSD codes as given below.